Responsive webdesign aims to present websites in the best possible way, even if viewed on mobile devices. Images are usually simply scaled down in that approach. If you use images with a high grade of details pictures soon become too small. The new CSS framework Focal Point cares for shifting the focus to the most important part of the image before scaling down. That way smaller resolutions only see part of the image but larger. You know it. The center of an image is not always in the center of the image. Which means that the most important part does not necessarily show up in the middle of a photo. With Focal Point you can define an area, that represents the parts you do not want to miss out on smaller resolutions. Parts covered by Focal Point stay visible no matter how far down you scale. 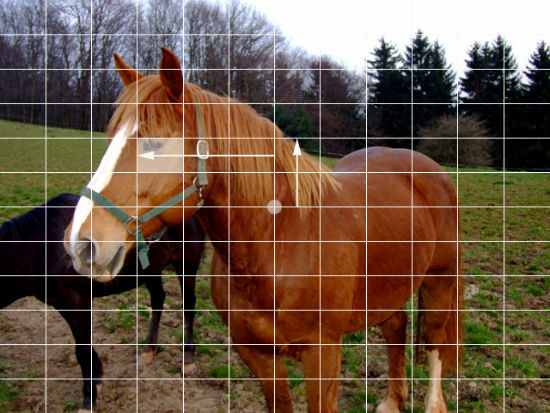 In this example the Focal Point is defined to be three grid units from the center to the left and then two units up. The class focal-point is as mandatory as the surrounding div around the image. By default the frameworks cuts down the image as soon as the browser window gets resized to sizes smaller than 767 pixels. You can easily adjust this value in the accompanying style sheet. Unfortunately, this will only work with rectangular images that you haven’t done any design work on, meaning no fancy borders or anything. Otherwise, it will crop the image and make it look very strange. It is better to have the entire image scaled.